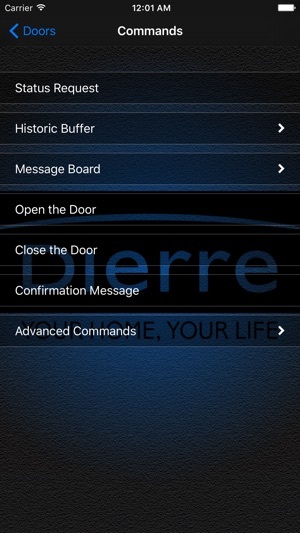 Control your BiElettra security door with the Smart Door system for iPhone. 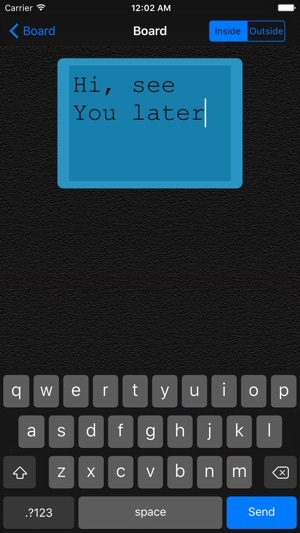 This App only works with a BiEIettra / Elettra Detector security door with integrated GSM modem (Smart Door System Security) with a specific 2G compatible Sim. In case you do not have such modem, you may be able to order it at your nearest Dierre Partner. 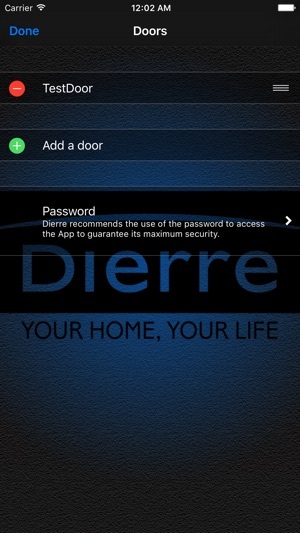 Download the App and askthe user's manual to the nearest partner Dierre to getall the information necessary for the optimal use of Smart Door oy Dierre. 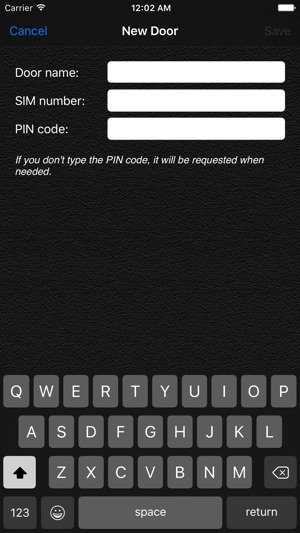 Dierre recommends the use of the password to access to the App to guarantee its maximum security.